3 Oh 7! 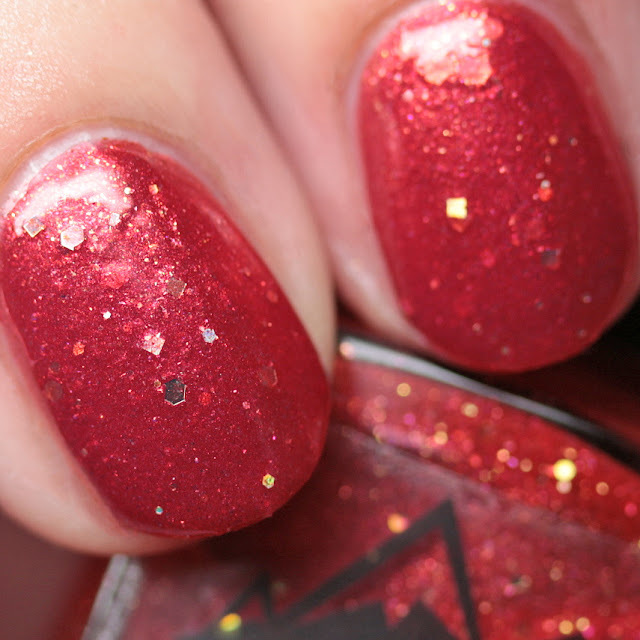 Nail Lacquer 3rd Degree is a crimson red shimmer with gold glitters and shimmer flakes. It covers in three thin coats and spreads easily. There is a nice balance between the shimmer and the glitter so it doesn't get covered up. 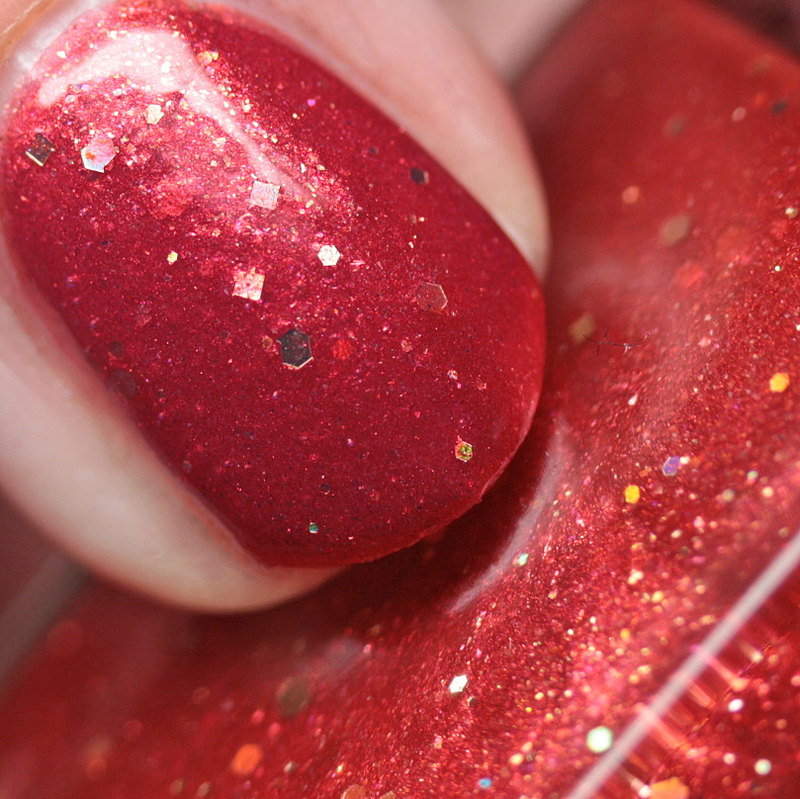 This will need top coat to smooth due to the glitter. 3 Oh 7! 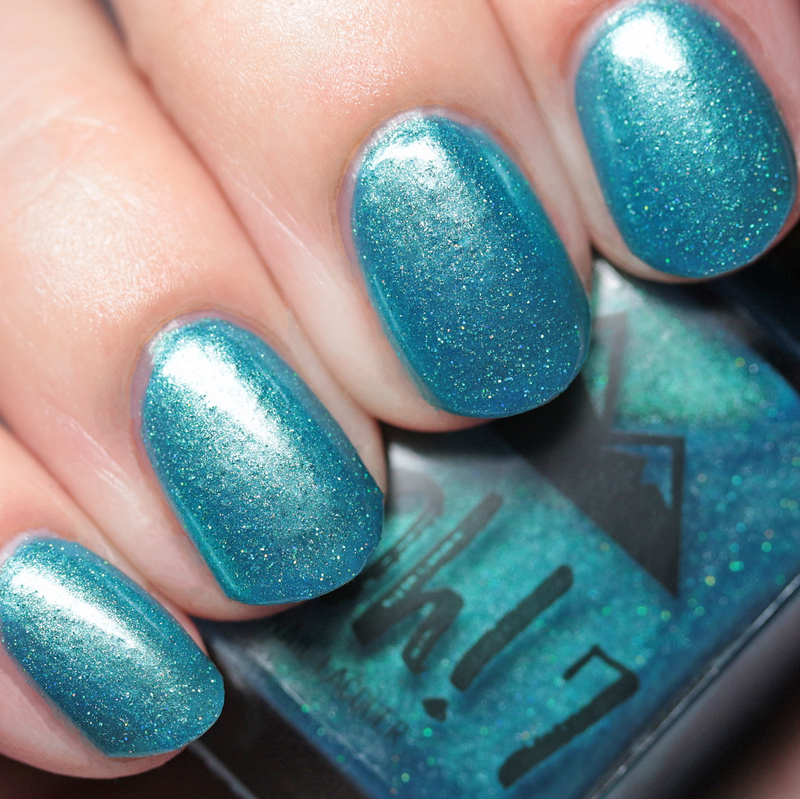 Nail Lacquer Frostbite is an ocean blue shimmer with holo shimmer and microglitter. 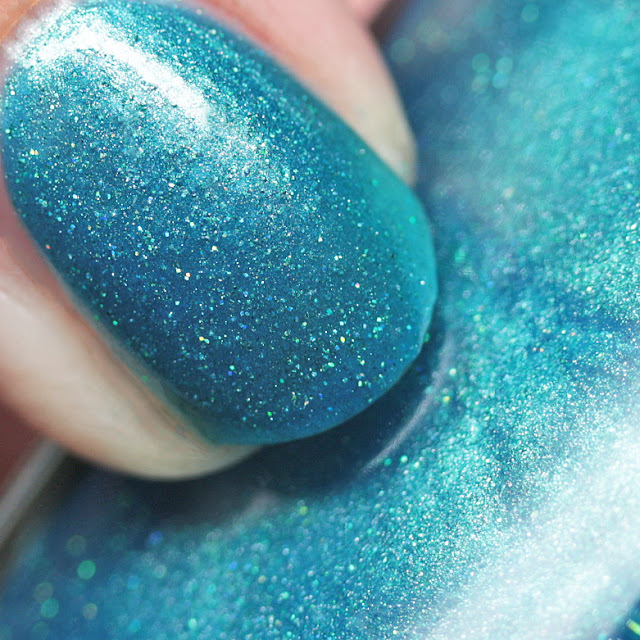 I wore it in three thin coats and here was a little bit of nail line. 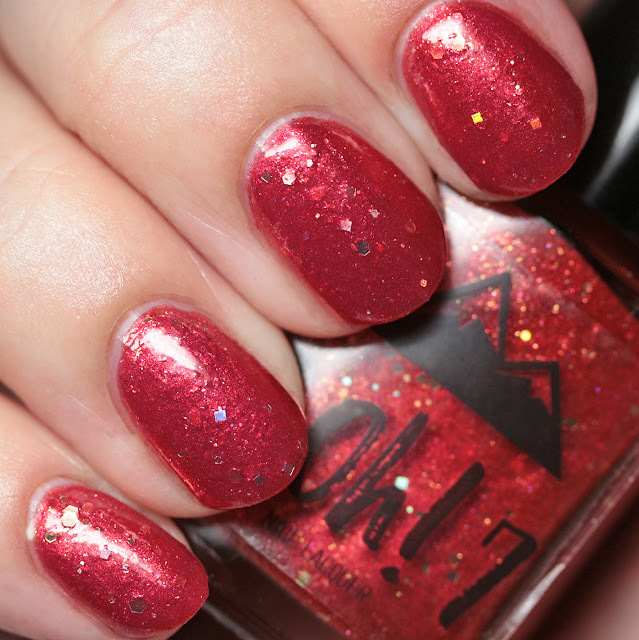 It has a lot of nice depth to it and a good formula. 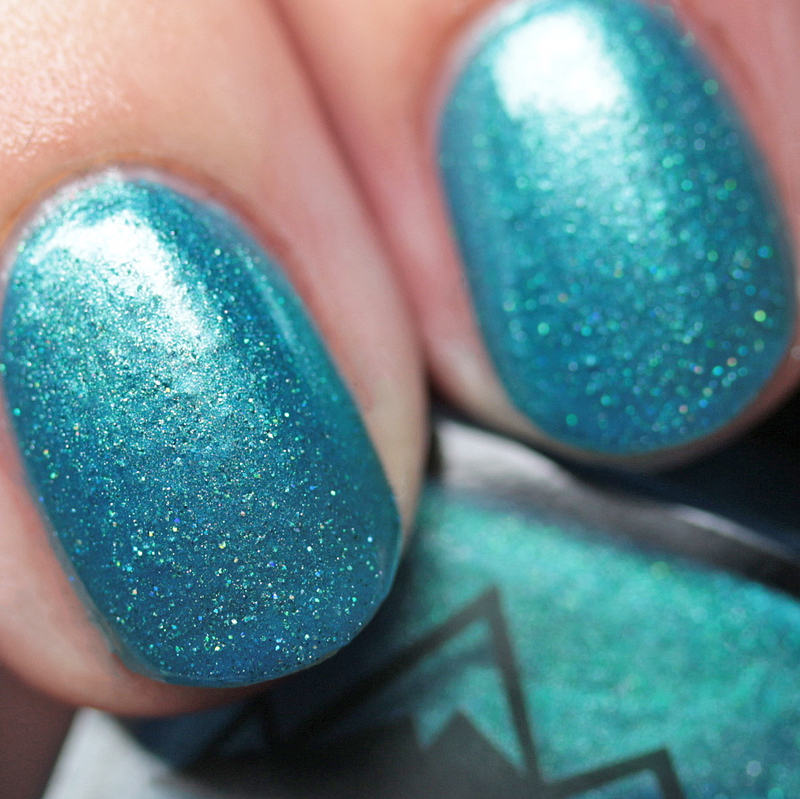 Also, due to the glitter, I used a shiny top coat and it ended up perfectly smooth. 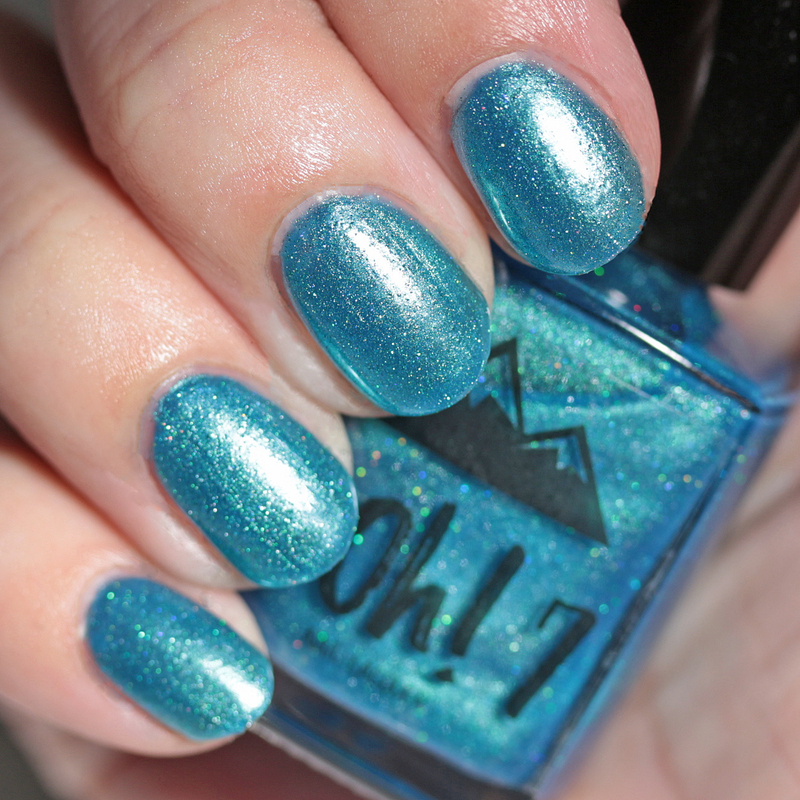 These polishes are available now through 3 Oh 7! 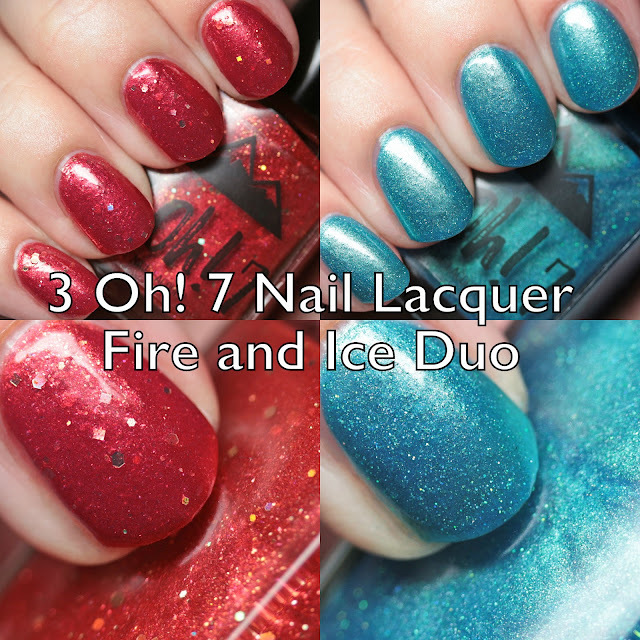 Nail Lacquer's Facebook page for only $6 each or $11 for the duo. That is a fantastic deal for a full size indie. Be sure to check out more of the shades on her page - I will be sharing some more soon. Do you like it hot or cold?